September 20, 2018 By heather Leave a Comment This post may contain affiliate links. Read my disclosure policy. Easy Stromboli Recipe – Pepperoni, salami and provolone wrapped up in pizza dough and topped off with Italian spices. Dunk in some marinara and you have an easy dinner. This easy stromboli recipe is a favorite in our house. Basically it is a tasty pizza pocket filled with pepperoni and salami, yum! If you don’t feel like going out for pizza, these are the perfect thing to make. We love making this recipe on a Friday night after work. They are done in under 30 minutes and you only need a few ingredients. A stromboli is typically long and rectangular in shape. It is Italian-American in origin. The toppings in a stromboli are usually a little more versatile than a calzone. A calzone is usually a half moon shape. Calzones originated in Naples, Italy. Start with dusting the sheet pan with corn meal. If you don’t have cornmeal, spray with non-stick spray, use parchment paper or a silicone baking mat. 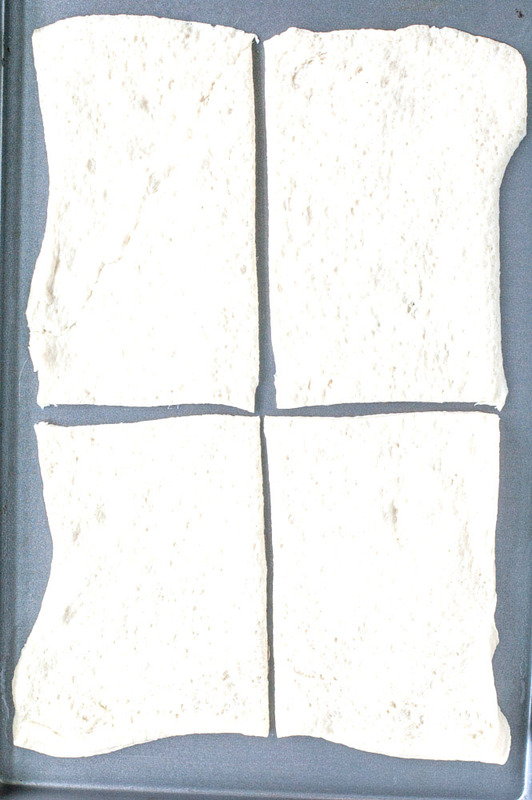 Roll out refrigerated dough on pan and cut into 4 rectangles. Fold each rectangle in half and pinch sides together. Brush tops with extra virgin olive oil and then sprinkle with garlic powder and Italian seasoning. 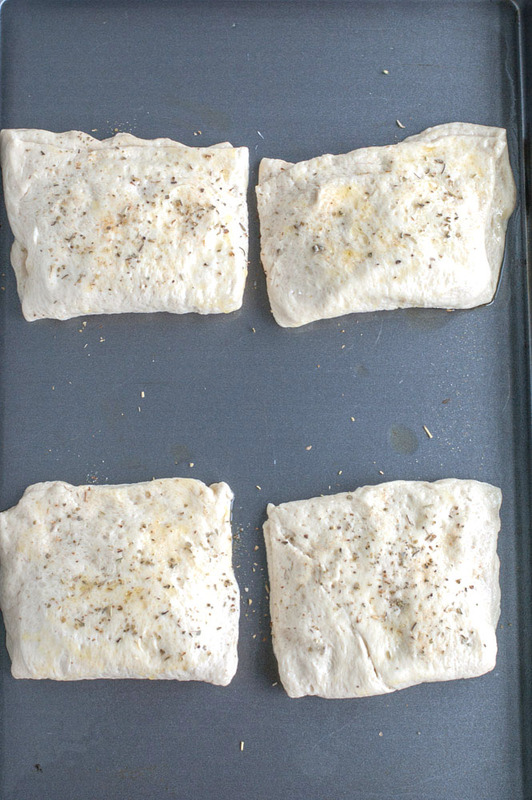 Making stromboli is super simple. Pepperoni, salami and provolone is my favorite filling combination for these strombolis but the possibilities are endless. Easy Stromboli Recipe - Pepperoni, salami and provolone wrapped up in pizza dough and topped off with Italian spices. Dunk in some marinara and you have an easy dinner. Roll out pizza dough on cornmeal dusted baking sheet. Cut into 4 rectangles. Place 2 pieces of provolone, 2 pieces of pepperoni and 2 pieces of salami on each rectangle. Fold each rectangle in half pinching sides together. Brush tops of stromboli with extra virgin olive oil. Sprinkle the top with garlic powder and Italian seasonings. Bake for 12-15 minutes. Serve with marinara sauce to dip.